There’s a shop around the corner where my parents live. It’s a plain, white-colored, non-descript building that houses many Indian and Pakistan antique and handicraft shops. But the one on the corner stood out. Every time we passed by that route, I would longingly gaze into the shop for all its colors and variety displayed on the windowsill. Then one day, I went in and regretted why I hadn’t been here before.It’s one of a kind that you fall in love the first time and long to go again and again. Colors have that kind of a magic over me. 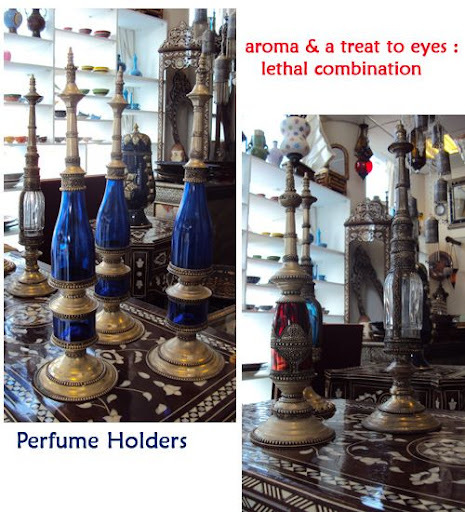 The store is called Pleasant Home and it’s in Adliya, Bahrain. 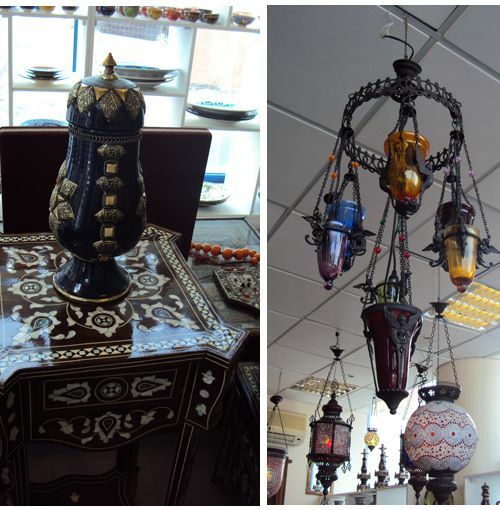 The shop has a wide range of lamps from Turkey, Syria and Iran. 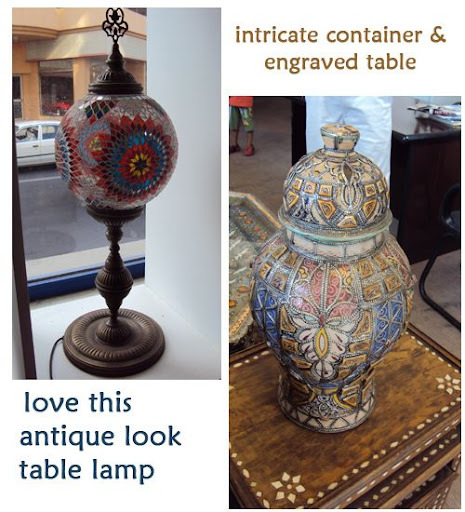 Apart from this, one can find quirky items like a old water boiler from Russia with inscriptions in Russia dating back to the 1800s, traditional Arabic incense holders, and dishware called Tajine. 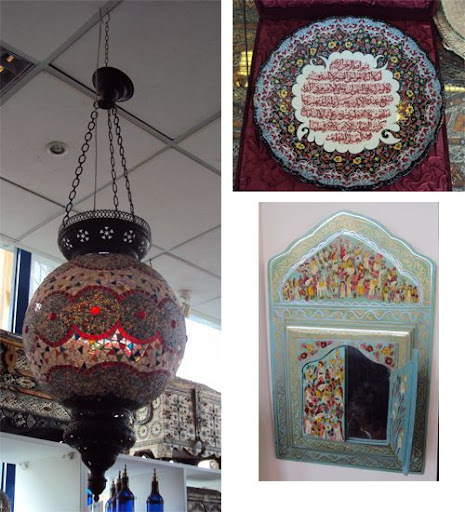 So, are you ready for a virtual tour as I take you through the magical world of Turkish and Syrian lamps? 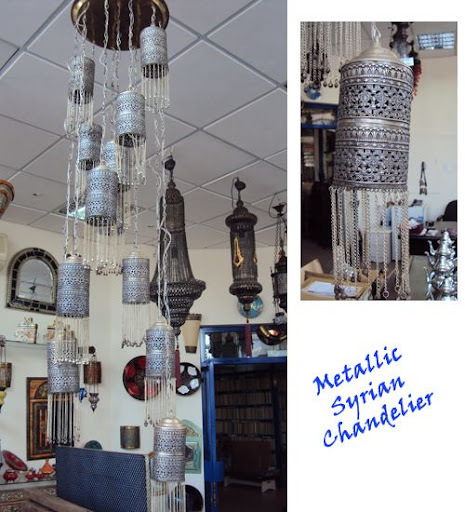 On a closer look, you’ll see these lamps can either be hung from the ceiling or on walls with clamps. Very delicately done with pieces of colored mirrors. 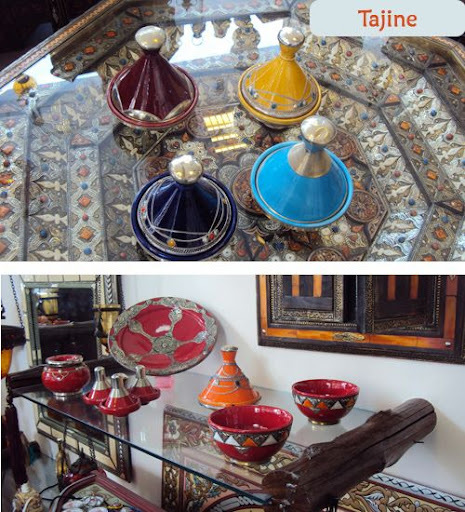 The colorful pots are called Tajine. It is a Moroccan dish named after the pot it is cooked and served in. If the dishware is so pretty, I wonder how yummy the food must be? The whole region is known for its ceramic ware. People have a strong penchant for perfumes here and I should add the scent is quite overpowering. Traditionally, it’s stored in holders such as these with distinctive shapes. These are styled very similar to our Jharokhas..though not sure what it’s called there. 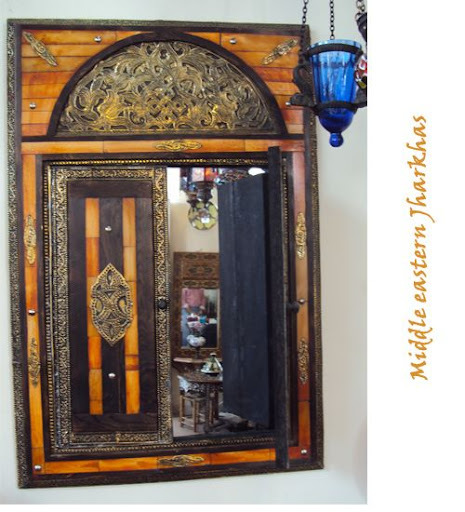 Look at the fine carvings and intricate designs in metal and wood. This magnificent center lighting piece was among my favorites. It’s quite huge and falls down in gradual layers. Would be a stunning addition to a dining area. 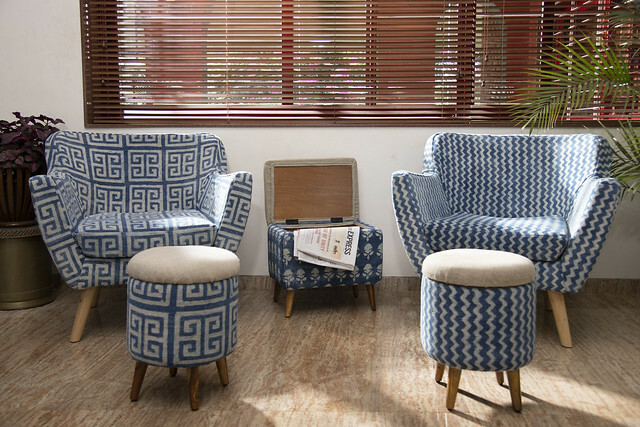 If you are wondering, how these would look in a room, watch out for the next post. 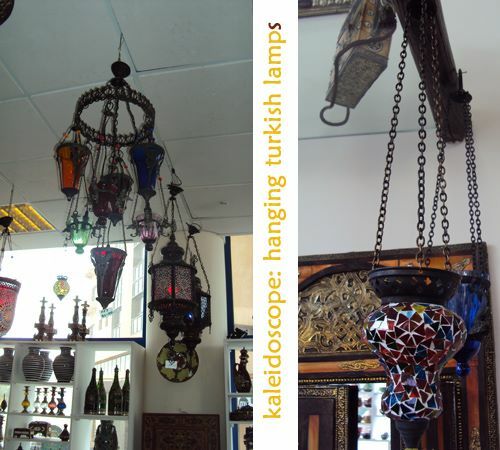 I’ll take you through a house tour that has some of these colorful Turkish lamps. Thoroughly enjoyed reading this Lakshmi. Can’t wait for your next post! Just in case if it is possible, please dont push yourself too much for it. 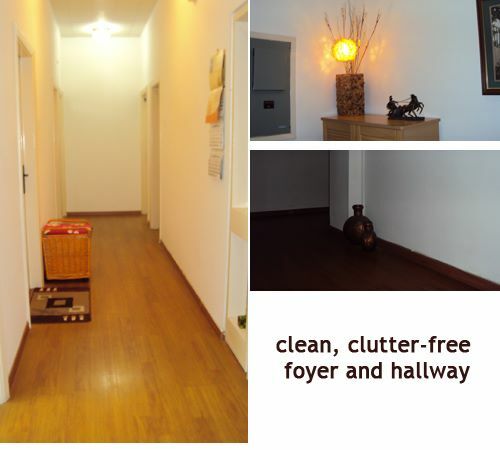 Hey, I was searching online for weeks to see some good inspirational interior decoration ideas for my new home.. I find your blog the best among all the indian blogs I visited. Ur blog is not too much inclined to the rustic style as the others, its got a pinch of rustic touch and more of a classy look. I grade u the best, keep up ur good work, thumbs up!!! Thanks for your kind words, Shreema. Have fun decorating! Oh my goodness, these are all so beautiful. My heart is even beating faster! Gorgeous images of things to dress our homes! fantabulous collection!!! are they available in India? Ho, I was looking for a touch lamp (bedisde), 3 touch with 3 different light intensity, Can you help me. Have you tried Home Center, or any of the lamp shops. This is available in most shops.